Agricola Redesign | Five Reasons Why We’re Best Of! Five Reasons Why We’re Best Of! 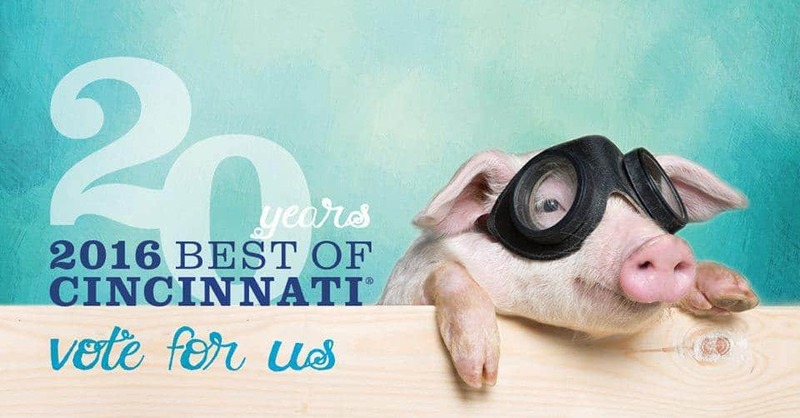 Tomorrow is your last chance to vote for the Best Gift Shop in Cincinnati. And guess what?! A Village Gift Shop was nominated. As Glendale’s premier specialty boutique, A Village Gift Shop at the Century House is dedicated to giving its customers the highest quality of customer service. Our stylish and knowledgeable staff is not only welcoming, but we provide expert knowledge of the products and lines in each department – we’ve even got a personal shopping team to help you find the perfect gift for any occasion and then ship your gift (free of charge!) to anywhere in the country. The gift shop items, selected by Agricola Redesign Owner Diane Agricola and the design team, feature local Cincinnati designers for jewelry and home decor items, women-owned companies and popular products that have been featured in Vogue, oprah and InStyle Magazine. You’ll find such a broad range of items available in our gift shop that you’ll have a hard time choosing just one! We sell candles, a brie baker, cloister-infused honey, scarves, scarf clips, bracelets, handbags, tile, butter dishes, serving platters, and photo frames. You’ll be surprised at just how much you can pick up for you, your home, or your loved ones in just one stop as A Village Gift Shop. Now that you’ve found the perfect gift, how are you going to wrap is just as perfectly? You won’t have to worry about asking yourself this question when you purchase from A Village Gift Shop, as we offer complimentary gift wrapping. Our gift wrapping services also take away the worry about the element of surprise if your gift is being sent somewhere else in the U.S., as we will be more than happy to wrap it up for you before shipping it for free! Located in Historic Glendale Square, Century House has served as a well-loved destinations for beautiful gifts for yourself, friends, and your home for more than 60 years. Our location at 3 Village Square was constructed back in 1867 and sits directly on the village square, so customers are surrounded by a beautiful setting as they walk into our inviting shop. A Village Gift Shop at Century House also offers convenient parking right in front of the store, so there’s no hassle in trying to get from your car to the store and then all of the items you’ve purchased from the store to your car. As a small, woman-owned business, we do what we can to support other small businesses from all over the country (including Cincinnati). We sell products from small businesses including Mona Be handbags, Maruka handbags, and Pomegranate Moon apparel.